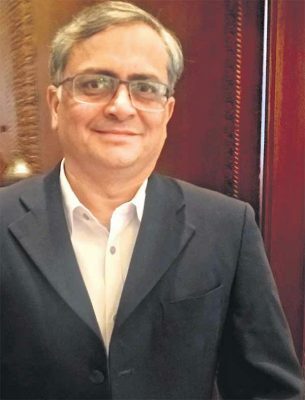 Hyderabad: Startup catalyst T-Hub, which supported more than 1,400 startups in the more than years of its existence, is now at an exciting phase as the focus is shifting to innovation as well, tells Ravi Narayan, its Chief Executive Officer, to B Krishna Mohan on the sidelines of an industry event recently. It is more than three months that he is at the helm of affairs at T-Hub. We are in an exciting phase. A lot of hard-work has gone into building this startup movement in Hyderabad. It has come to a point where it is yielding fruits. We are beginning to see a lot more funding and a lot more startups are coming. The quality of startups is also much improved and enhanced from what I used to see three or five years ago. There have been acquisitions in the startup arena. It implies that whatever time and resources that these entrepreneurs have been spending building products or services are becoming valuable to someone else. From all these aspects, I am very optimistic about where Hyderabad is today in terms of startup ecosystem. I think Hyderabad is now ready for something we call as innovation ecosystem where entrepreneurs and startups aspire to come here. There are also many corporates from all across the world who have set up their shops primarily and are building their development teams here now. They will also look at the innovations that are coming out of this city. That will be a big boost to the ecosystem to have startups as well as corporates working with them in Hyderabad. We want to pitch for certain areas where we feel we can make a bigger impact. Fintech is one such area. Fintech is a highly regulated segment and there are concerns over security and privacy. On the otherhand, the segment is seeing big innovations. I think we have an opportunity to make a big impact. Also, the quality of startups as I said is improving in this area. There are a lot of BFSI players that are setting up their development centres in Hyderabad. I think there is an opportunity for them to work together with startups. Currently, we have 120-150 startups that are working with us. But several startups do not have to come and sit here. They still work with us. If we take those into account as well, the number will be larger. Yes, there are some startups that are in an acquisition stage. Several States have expressed their interest to replicate T-Hub. We have explained what we can offer in a collaborative effort. However, in-depth conversations on this aspect will start soon. The haze around is not completely cleared. It is just recast differently. Angels are looking for more clarity on how all that will work out. A lot of effort has gone into it the issue and I would say the matters relating to angel tax are becoming better and better.